For several years I’ve been returning from Toronto—where I teach at The University of Toronto and George Brown College—to Ladner, BC to spend my summers. I cherish the time as a chance to see family and friends and to enjoy a different pace of life—one I enjoyed when I used to live and work here and where I brought up my family. We lived in a comfortable house on a quiet street and our back yard faced one of Ladner’s sloughs and beyond that a vast tract of farmland, most often scored with rows of potato plants. My son Kevin had grown up swimming in the slough and jumping off the rope swing his dad had constructed. Pilgrims from close and far came to use that swing and enjoy the murky waters of our back slough. This summer, good friend and writer Cathleen Chance Vecchiato decided I should give a talk to my old community on Water Is… my recent bestselling book on water. With that, she immediately made it happen. The venue was already decided: the best café in Ladner, Stir Coffee House. I’d taken Cathleen there the previous year as part of a tour of the old farming and fishing village. Cathleen was charmed by the village atmosphere. Stir Coffee House was happy to host a talk and Robert and Cathleen proceeded to plan it. Ian Jacques at The Delta Optimist wrote a wonderful piece on my journey, the talk and the book. On the evening of August 16th a growing crowd of people, eager for more on this precious substance flowed into the café until there was hardly a seat left in the cozy venue. I recognized some locals as well as colleagues from my environmental consulting days in Vancouver. It was a good crowd. I shared the story of how I came to write this book—not a limnology book for non-scientists, as I thought I was going to write—but something that was more than science. Something that encompassed so much more about water: what it means to each of us and how we still don’t understand its many magical anomalous properties. I confided my discovery that the synchronicity of important moments in my life were all connected to water, which compelled the book to evolve into a study of “what water means to us.” Good friend Emmi Itäranta, author of Memory of Water, called Water Is… a biography of water. Travelling the world has helped me realize that I was blessed with an abundance of water. I lived my entire life in a country of plentiful and healthy water. And for most of that time I didn’t even realize it. Canada holds one fifth of the world’s fresh water in lakes, rivers, and wetlands, as well as in our underground aquifers and glaciers. Canada’s wetlands, which cover more than 1.2 million square kilometres, makes Canada the largest wetland area in the world. Perhaps it is no coincidence that Canada is steward of the world’s largest wetlands. Wetlands include marshes, swamps, fens, and bogs, all irreplaceable habitat for a huge diversity of nesting, feeding and staging waterfowl, reptiles, amphibians and mammals—many at risk. Wetlands provide a major filtration system, removing contaminants, improving water quality and renewing water’s vitality; wetlands serve as reservoirs, controlling and reducing flooding toward a more balanced hydrological cycle. Wetlands are a source of oxygen and water vapour, serving a vital role in our global atmospheric and climatic cycles. As ecotones— transitional areas—wetlands protect coasts from erosion and provide exceptional opportunity for boundary interaction and the emergence of vitality. Like a good metaphor, wetlands “recognize” and encompass similarities between dissimilarities. Wetlands powerfully connect. Canada’s strong multi-cultural policies and its open tolerance in embracing and celebrating diversity makes it the “wetland” of the world. When I turn on the water tap in my house in Canada, it is pure drinking water. I don’t need to boil it or filter it or test it for impurities and toxins. I am confident that it will nourish and hydrate me like water should. I can bathe without restriction. I can play with it. My water hasn’t changed; but I have. I do not take it for granted. I know that I am blessed. I am home and I am so grateful. 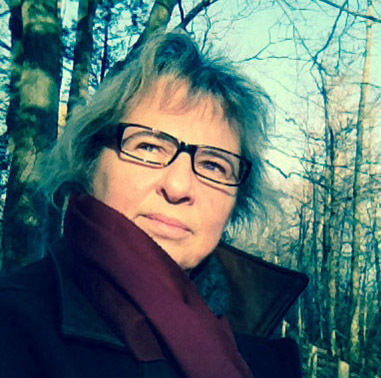 Part of this article is an excerpt from Nina Munteanu’s “Coming Home to Water” first published in “In the Moment” (A Hopeful Sign) edited by Gary Doi, September 2016; reprinted in “The Earth We Love” (Mississauga Writers) edited by Elizabeth Banfalvi, September 2018; and “The Literary Connection IV: Then and Now” (IOWI) edited by Cheryl Antao Xavier, upcoming 2018. Host Saryn Caister of The Green Majority CIUT Radio 89.5 FM discusses “Water Is…” with Nina Munteanu and her philosophy to learning and knowledge. The interview covers some of water’s anomalous properties and why Nina decided to write a book that spans and integrates such a wide variety of angles and subjects from traditional science to spirituality. Saryn and Nina discuss some of water’s controversial properties and the claims about water and how geopolitics plays a role in this. She brings in her own career as a limnologist and how she broke away from her traditional role of scientist to create a biography of water that anyone can understand—at the risk of being ostracized by her own scientific community (just as Carl Sagan and David Suzuki were in the past). Saryn shared how Ray John Jr., an Indigenous teacher, on a previous show reminded us why these things matter. In December 2017, “Water”, the first of Reality Skimming Press’s Optimistic Sci-Fi Series was released in Vancouver, BC. I was invited to be one of the editors for the anthology, given my passion for and experience with water. You can buy a copy on Amazon.ca or through the publisher.